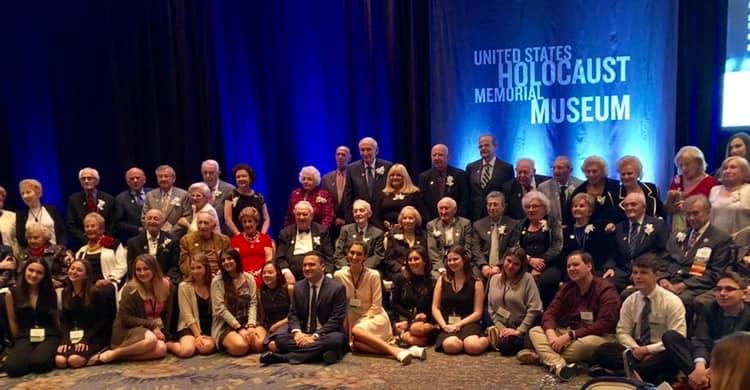 The US Holocaust Museum held its annual South Florida Dinner to honor survivors of the Holocaust with the prestigious Elie Wiesel Award. Dr. Daniel Greene, Historian and Curator Americans and the Holocaust exhibition spoke about new findings from the Museum’s 25th-anniversary project — the Americans and the Holocaust exhibition. He focused on what Americans knew about the threat of Nazism and asked why rescue of Jews never became a priority for most Americans. The Chairs of the dinner were Shelley and Craig Menin with Marla and Steve Garchik the evening’s co-chairs. 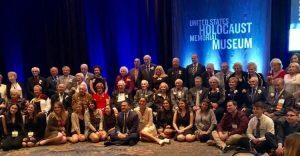 The Museum is undertaking a $540 million comprehensive campaign to allow the critical investments to keep Holocaust memory alive as a relevant force for change—inspiring people worldwide to confront hate, prevent genocide and promote human dignity. Never Again: What You Do Matters. 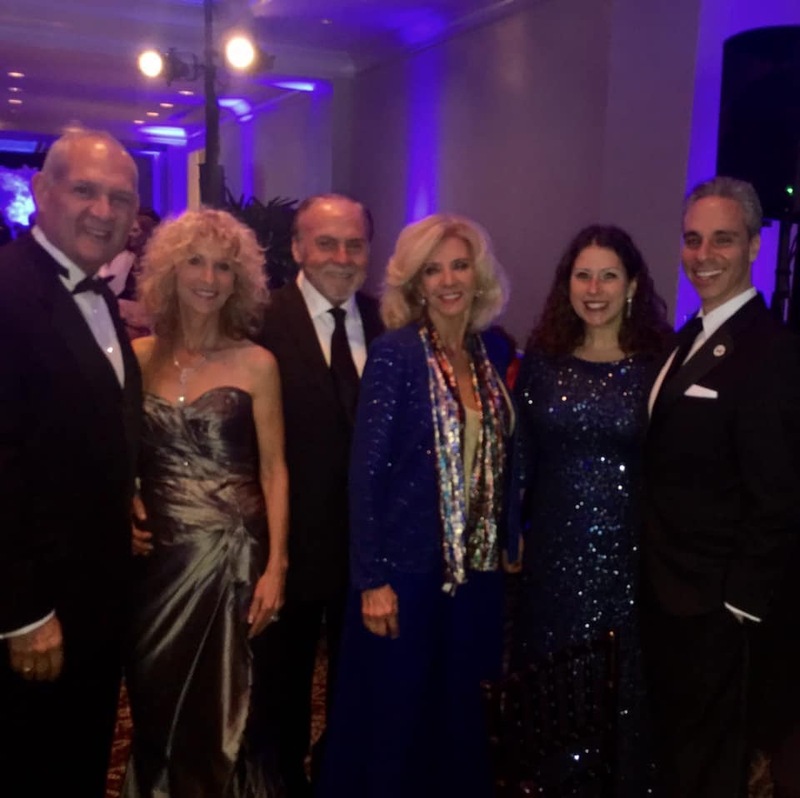 The Broken Sound Club’s membership honored John Crean, the club’s chief operating officer/general manager, for his dedication to and support of the Jewish community at a black-tie gala at its main clubhouse. The event chairs were Jeanne and Marty Epstein, Judy and Nate Metzger along with Kate and Sam Sidewater. The gala is an annual fundraiser for the benefit of the Jewish Federation of South Palm Beach County. The BSC’s membership started hosting its own club fundraiser to benefit the Federation in 2003. This year’s event featured a themed program tracing Crean’s personal history back to his roots in Ireland, his hospitality career that brought him to America in 1990, his BSC and industry leadership and mostly his support and advocacy of the Jewish community. 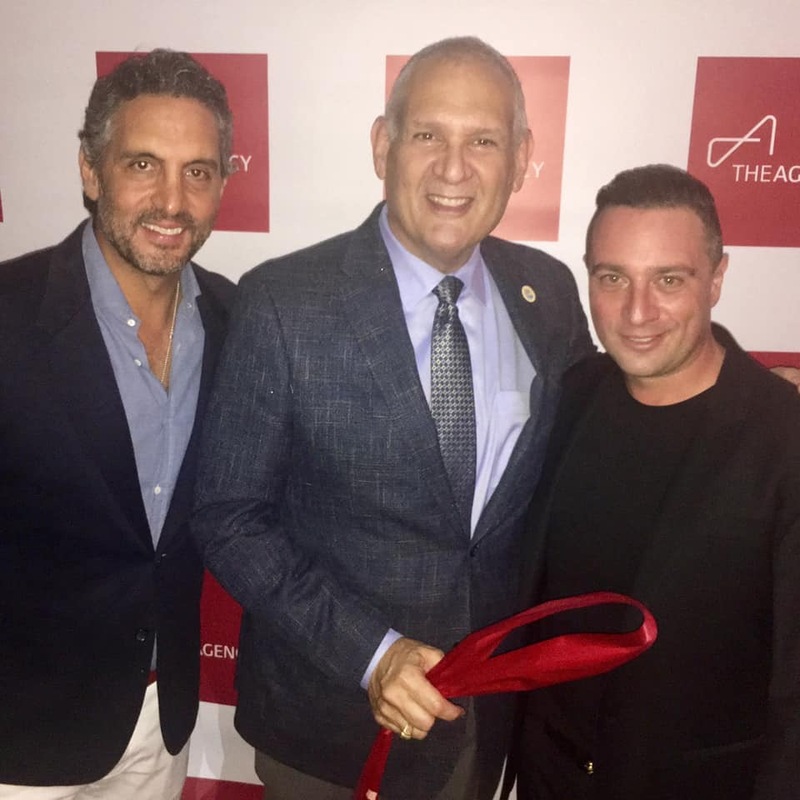 The Agency, a Beverly Hills-based brokerage officially cut the ribbon at their newest office at 20 3rd St in downtown Boca Raton, led by Chris Franciosa and Jared Ringel with Howard Elfman, the agency’s managing broker. Mauricio Umansky, CEO of the Agency, together with Billy Rose and Blair Chang founded the Agency in 2011. The company has been expanding since then, hiring new agents and opening in major markets. It now has nearly 500 agents. In addition to its home base in Beverly Hills, the firm has 25 offices. 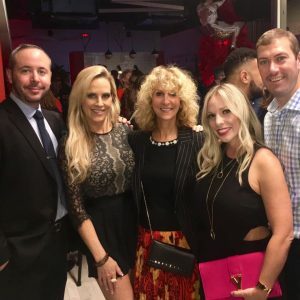 The new Boca Raton location, a two-story, 6,700-square-foot office, includes the Agency Development Group and the Agency Creates, its creative division. In South Florida, the Agency is looking to compete with other high-end brokerages like One Sotheby’s International Realty, which just acquired Nestler Poletto Sotheby’s International Realty; as well as compete with the Keyes Company and Lang Realty. For the 13th year, the City of Boca Raton is proud to sponsor the annual PGA Tour Championship at the Old Course at Broken Sound. Oasis Outsourcing, the newly-named sponsor, will continue bringing world-class golf to Boca Raton through the Oasis Championship, February 4 – 10, 2019. The Boca Raton Champions Golf Charities (BRCGC) serves as the operational and financial oversight group for the event as well as for the distribution of all charitable funds, as all net tournament proceeds benefit Boca Raton Regional Hospital. Over the last twelve years, more than 1.7 million dollars has been donated to local charities from the Oasis Championship. 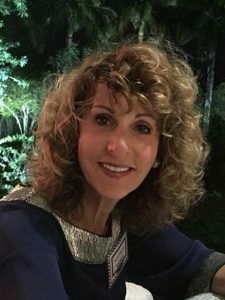 On February 12th Hillel of Palm Beach will host its annual Gala, I Am Hillel. The theme for this year’s event is “You’ll Never Forget Your First Time.” Honorees are Anne and Norman Jacobson with Special Recognition to Melanie and Bernie Kaminetsky. Chairs for the event are Dale and David Pratt, Jill and Michael Rose, Ilene and Peter Wohlegemuth. Hillel of Broward and Palm Beach is the focal point for Jewish life on the campuses of Florida Atlantic University, Nova Southeastern University, Lynn University, Palm Beach State College, and Broward College. Author, Jeannette Walls, best known for her best-selling memoir The Glass Castle, will be the keynote speaker at this year’s Reﬂections of Hope Luncheon on February 13th at Boca West Country Club. This program was created to break the stigma associated with mental illness, a critical issue affecting one in four adults. Proceeds from the luncheon will benefit JFS’ Counseling & Mental Health Services, including the Welcome Home Program. The Glass Castle was named by Amazon as one of the Top-10 books of the decade. The inspiring story was brought to the big screen in one of the most highly-anticipated major motion pictures of the year starring Woody Harrelson, Naomi Watts and Brie Larson as Jeannette. Event Co-Chairs are Abbe Becker, Lori Gottsegen and Lorraine Udwin. Honorary Co-Chairs Nancy and Marvin Schiller. The event is graciously underwritten by Grand Benefactors Olivia & Gerald Shapiro, and Robin & Gary Rubin. 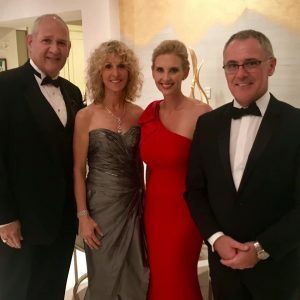 https://www.fidf.org/events/fidf-2019-palm-beachbroward-gala or by calling (561) 483-2771. Valentine’s Day is fast approaching. Consider the ultimate South Florida gift. My Palm Beach Box is only subscription box from the Palm Beaches. Each box comes with 8 different items including fitness, fashion, restaurants, health & beauty, home & houseware, local stores and entertainment! Visit www.mypalmbeachbox.com. Tell Sarah and Krisann I sent you. 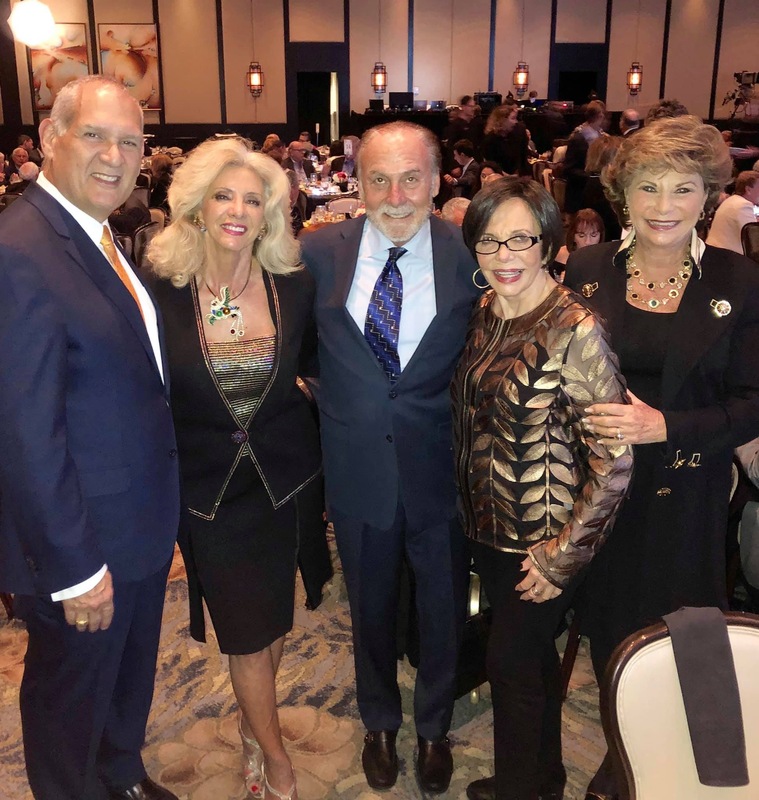 The Boca Raton annual New Directions for Women Luncheon benefiting National Jewish Health, the leading respiratory hospital in the nation will be held at St Andrew’s Country Club on March 7th. Co Chairs for the event are Susan Goldstein and Shirley Stern. The luncheon will raise funds to support research and treatment, including heart and lung diseases. Guest speaker will be Martha Hall Kelly. She is the author of “Lilac Girls,” an instant New York Times bestseller based on the true story of 72 Polish women who were imprisoned and experimented on at Ravensbruck Concentration Camp in Germany. Through the efforts of American socialite and philanthropist Caroline Ferriday, many of the survivors came to America for medical treatment and those who suffered with respiratory issues were cared for at National Jewish Health. KidSafe Foundation has recently announced Former NBA superstar Keyon Dooling & Congressman Ted Deutch will be honored as KidSafe Foundation Child Advocates of the Year at their 10th Anniversary “Shine the Light” Gala on Friday, May 10th, 2019 at the Polo Club in Boca Raton. For a more complete list with ticket information, visit my website www.bocacal.com.